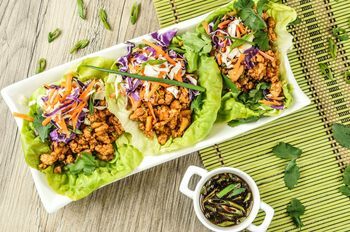 Homechef – Thai pork lettuce wraps with water chestnuts, ginger and sesame dipping sauce. I made this meal from Homechef for dinner last Monday. It was very tasty. Thai pork lettuce wraps with water chestnuts, ginger and sesame dipping sauce. Low carb, easy to make and super satisfying. 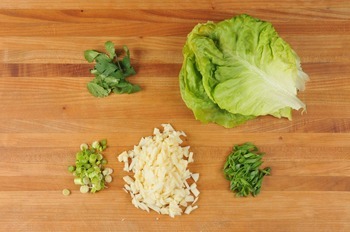 • Rinse the lettuce and peel the leaves off individually to create lettuce cups. • Rinse and slice the green onions on a bias and separate white ends from dark green pieces. • Rinse and destem the cilantro. Discard the stems. Remove the leaves and keep them whole. • Drain and roughly chop the water chestnuts. • Heat a sauté pan with 2 Tsp. olive oil over medium-high heat. 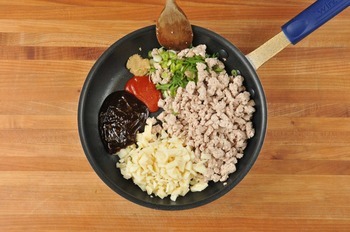 • Once oil is hot, add the pork and cook for 8-10 minutes, breaking the pork up with a spatula as it cooks. • Use a colander to drain excess fat and juices from pork. 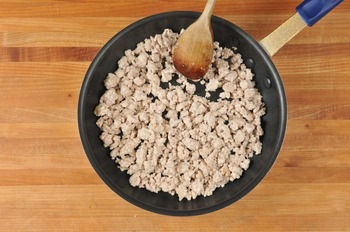 • Return drained pork to the sauté pan and warm over medium heat for 1 minute. • Add Hoisin sauce, Sriracha, water chestnuts, white ends of green onions (reserving dark green pieces for garnish), and ginger, all to taste, and sauté for another 3-4 minutes, or until flavors meld together and become aromatic. • Add salt and pepper to taste. • If desired, add 1 Tbsp. of water to thin out the filling. • Place a lettuce cup on a flat surface. • Fill with a few spoonfuls of pork mixture. • Top with slaw mix, cilantro leaves, and remaining dark green onions for extra crunch, reserving some cilantro and green onions for garnish. • Repeat steps for each lettuce cup. 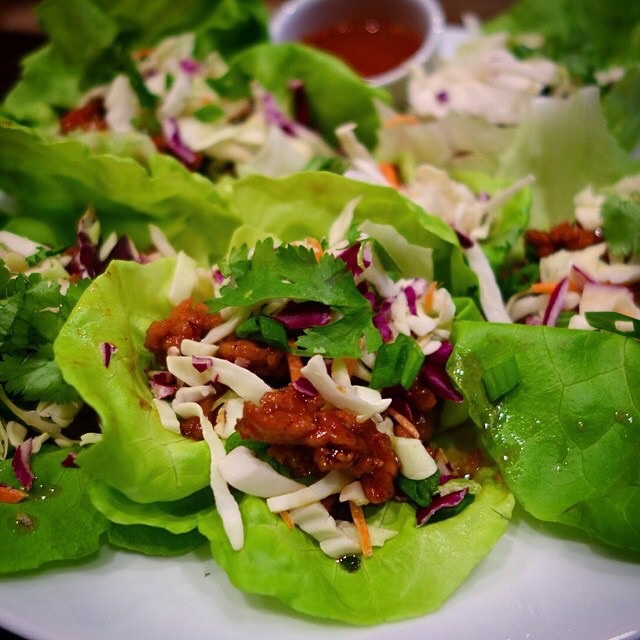 • Arrange 3-4 assembled lettuce wraps on a plate. 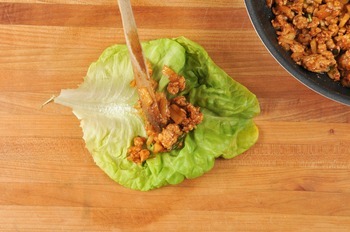 • Place dipping sauce in a cup next to lettuce wraps. • Garnish with any remaining cilantro leaves and reserved dark green onions. ← Blue Apron – Arepas de Carne Molida with Avocado & Pickled Jalapeño.